The SUMMO JACK is a specially developed tool to assist in the installation of REPAIR KITS for both SUMMO & SUMMO II Air Poppets. After removal of the filter on the bottom of the poppet, use the SUMMO JACK to raise the poppet valve and fully compress the spring. This relieves the pressure on the cross pin for easier removal. 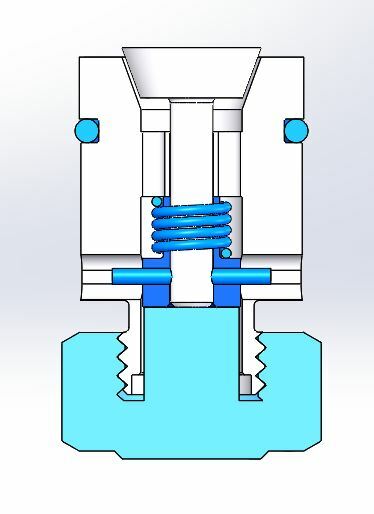 After the SPRING & SLEEVE has been replaced, use the SUMMO JACK again to compress the spring and install the cross pin. Remove the SUMMO JACK, install a new filter and grind the poppet valve to finished height before placing back into the mold. Click the button below to add the Summo Jack to your shopping cart for $110.00. Click the button below to add the Summo Jack to your wish list.